Suzuki Jimny is one of the most popular small SUV’s in the world and the company recently unveiled new generation of Jimny. Liberty Walk based in Japan is popular for their body kits and customization works and they recently revealed a modification kit for Suzuki Jimny which look like Mercedes G-Class Wagon. 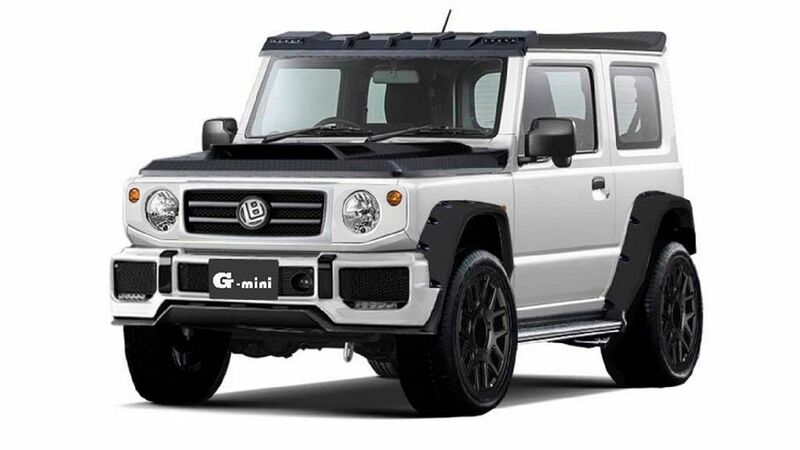 Along with Jimny, the custom shop also released a similar body kit for G63 and both of them look exactly same except for some minor changes for headlamp and mirrors. Liberty Walk has given new front bumper for Jimny along with G-Class inspired grille but the headlamp and indicators are carried over from regular model. The hood has carbon fibre inserts along with big wheel arches to make the body look muscular. 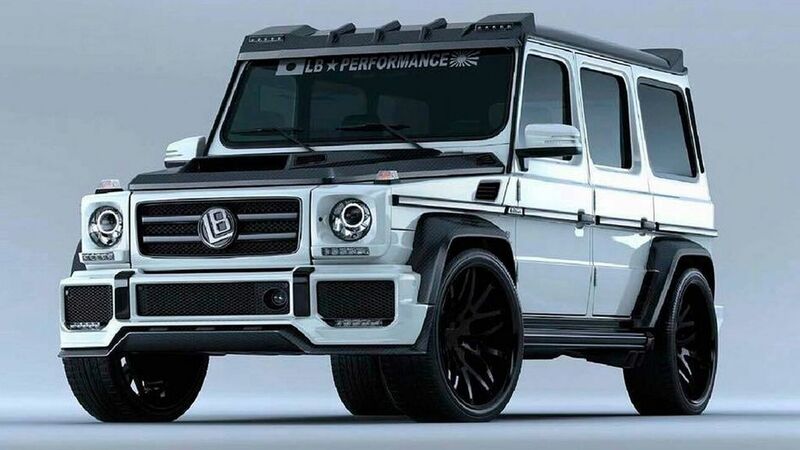 The company has also given new roof body kit and it is also available for G-Class. The rear get new bumper but the tail lamp comes from stock model and the custom shop replaced stock wheels with bigger alloy wheels finished in black colour. Normal people won’t be able to identify that it is actually a Jimny as the detailing done by Libery Walk is really good. The interior is not yet revealed but we can expect some changes like leather upholstery and new materials for dashboard to make Jimny feel special from behind the steering wheel. The mechanicals are also expected to be carry forward from stock model. Suzuki is offering wide variety of engines with Jimny in its home market like 1.2 L K-Series engine with 92 hp and powerful 1.0 Boosterjet engine with 112 hp. These engines are mated to manual transmission and the company is offering all-wheel drive system as standard. One of the major changes happened for Jimny is in its interior as the new model comes with lots of modern features like touch screen infotainment system, climate control, push button start, key less entry and more. We are expecting Suzuki to introduce Jimny in India as a life style vehicle by 2020.